In my Birthing From Within® classes, I teach every aspect of birth. It is the philosophy of Birthing From Within® and my desire to bring awareness to couples of natural and medicated birth including cesarean birth. I hear many pregnant moms doing every preparation they can to have a natural birth and try with every ounce of determination to birth intervention free during labor. Then something shifts, changes, or arises that the “next best thing” to do is to have an intervention and a cesarean birth. My desire is to bring awareness of the procedures of a cesarean birth and help moms embrace each moment of her birth, whatever way she is birthing. It is my desire to support couples, without judgment, whatever birthing “way” they choose. A recent client and friend had a previous cesarean 4 years ago. When she became pregnant for the second time, I supported her pregnancy journey. We discussed her desires and plan for her birth and she decided to have a planned repeat cesarean. I was 100% supportive of this decision. As I teach cesarean awareness in my classes, I wanted to observe and have a first hand knowledge of the procedures and protocol. I pursued the possibility of being able to attend the birth. I know, basically, what the procedures are having met with and spoken with a midwife about preparing couples in the event of an unplanned cesarean. But, I always gave the disclaimer that I had not attended one. Most of the time only one person, often the partner, is allowed in the OR. With my client’s permission, I contacted the OB she had chosen to do the cesarean. We spoke on the phone and the OB was on board with me attending (which may be a one time deal). A few months later, I attended a prenatal with my client and the OB. We discussed her birth, her desires, and my role in attendance. On the day of the birth, I met the couple at the birthing center. I was so excited to have this opportunity to have a first hand perspective to share with future clients having either a planned or unplanned cesarean. The photographer, Laura Swift with Laura Swift Photography, arrived as the husband and I, in scrubs, were waiting to go into the OR. Laura offered for me to take her camera into the OR for the birth. I was able to capture some sweet photos. I received permission from the OB to publish these. Here are some of my observations and what couples can anticipate during a cesarean birth if you are planning one or if an unplanned one becomes necessary. First of all, embracing the thoughts that this is your BIRTH! Reframing your mindset from being a c-section with negative visions of SURGURY, KNIFE, ect. and embracing it as a cesarean BIRTH is courageous, empowering, and can help in the process of accepting, if the cesarean was unplanned. In preparation, mom was admitted to the room that she would stay in after the birth. The nurses and anesthesiologist asked her some questions and monitored her. There was a few hour waiting period upon arrival to the birthing center. When all were ready, dad and I were given scrubs and the OB came in to see if mom was ready. Mom was taken back to the OR, prepped with a spinal epidural and with drapes for the birth. Dad and I waited in the lobby for about 30 minutes during the preparation. The OB came to us several times to tell us how the preparation was going and that she would come get us soon. The OB was very helpful and engaged with mom and us. We were escorted by the OB into the OR and dad was given a chair to sit at mom’s head. It is important, when partners enter the OR and approach mom, to pull the face mask down briefly, kiss her cheek or rub her forehead to greet her. Sometimes moms can be groggy and may not immediately recognize her partner in scrubs, a mask, and cap. Partners have the option to stay behind the screen partition separating the surgical site. It may be hard for partners to watch the surgery. I observed the birth. Mom’s belly was draped with a thin disposable cover; her arms were gently strapped to the table. An incision was made. There is a smell, almost like burning hair, as the incision is made. The OB put on music to help minimize the sound of the instruments. The OB talked with mom through the procedure and shared with her when she was near bringing the baby out so mom could be prepared to see her baby over the screen partition. Mom shared she remained mindful and focused on relaxing by using Breath Awareness. This is a pain coping practice I teach in my classes. I was able to talk her through releasing her body and mind. Sometimes medical students may observe, if this is not wanted, moms should let the OB know. If a medical student is in the room and the OB is sharing too many details about the surgery, moms can respectfully ask them to be quieter or refrain from sharing those details. It was a beautiful moment when mom saw her baby for the first time. Her baby was taken to a warmer near mom so she could look over at her. I took pictures and helped mom remain connected with her baby by talking about what the nurse was doing; weighing baby and doing newborn procedures. Dad can also help mom stay connected with her baby. Shortly after, dad brought baby to mom’s head for kisses and sweet photos. Stitching up the incision took about 30 minutes, I didn’t notice exact time. The OB took good care to stitch so mom would heal strong and well. She also took care to make the stitching on the exterior skin pretty. After the birth, the nurses brought a bed next to the table and slid a board under mom while they gently guided mom to the bed. They said she would feel like she was falling, but they would take good care of her. And they did. Dad went with baby to the nursery where baby was warmed and monitored while mom went to a recovery room. The birthing center is not set up for anyone to go with mom to recovery. This can be a time for mom to prepare her mind and heart and have a mental break as she anticipates the following days and weeks of newborn land. Moms usually remain in recovery about 30 minutes. Mom was then wheeled in a bed to her room. Then, the baby was brought to the room to be with her parents. Depending on how baby is doing, there is a waiting period while baby is being monitored in the nursery. It is important when couples are preparing for a cesarean to make their desires known. The care providers will talk through their desires and help them have the experience they desire. The experience for me and for the couple was pleasant and sweet. I deeply appreciated the OB allowing me to attend and the respect I was shown by the nurses in the OR. I hope I can help couples prepare, prenatally, to embrace if an unplanned cesarean becomes necessary and know what to expect when preparing for a planned cesarean. Blog posted with permission of medical staff and OB. 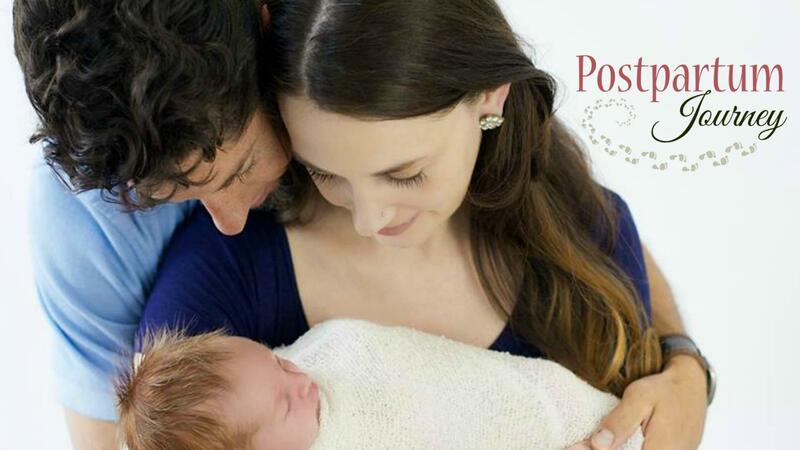 Find out more about my Birthing From Within online childbirth and postpartum courses HERE.